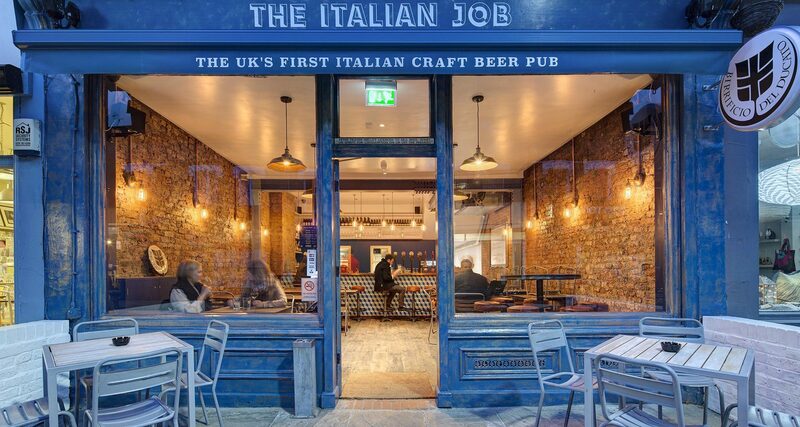 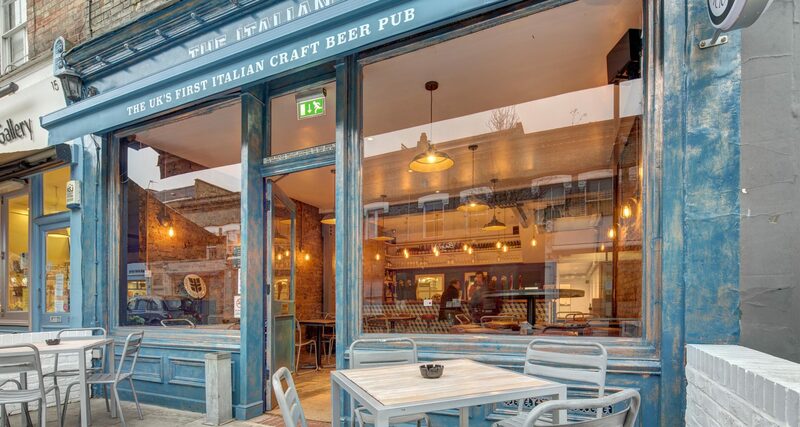 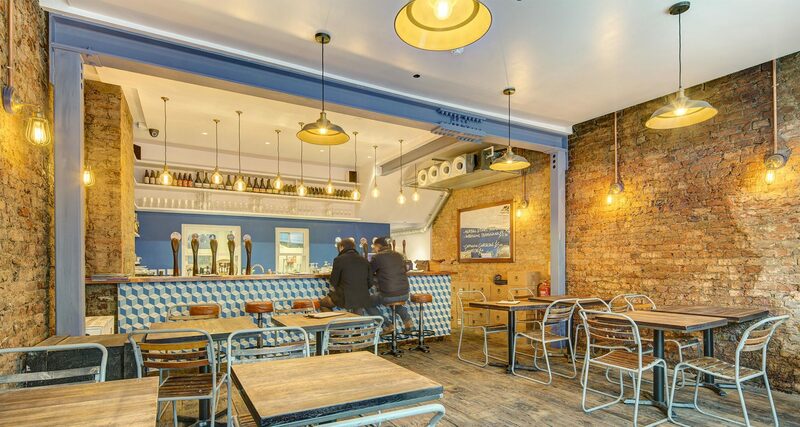 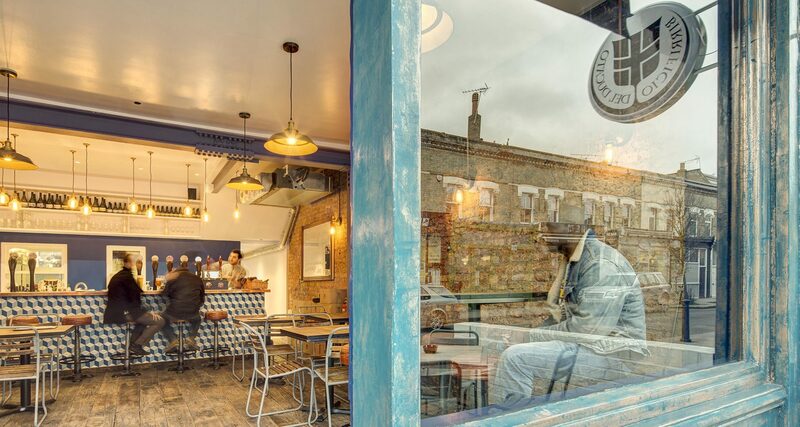 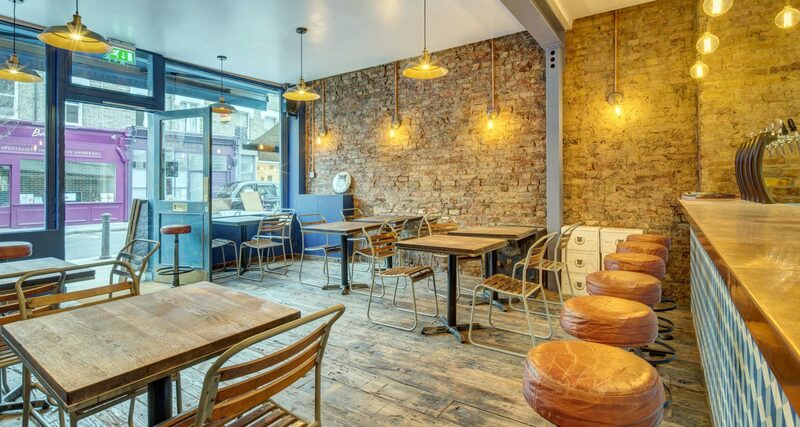 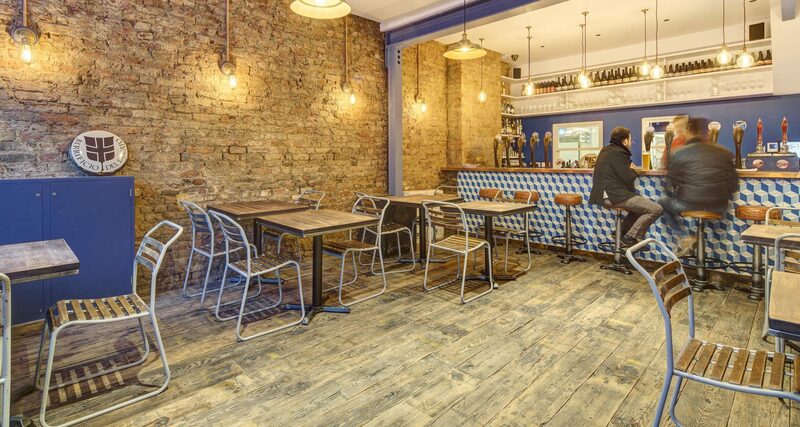 The Italian Job is the first pub to bring Italian Craft Beer to Londoners. 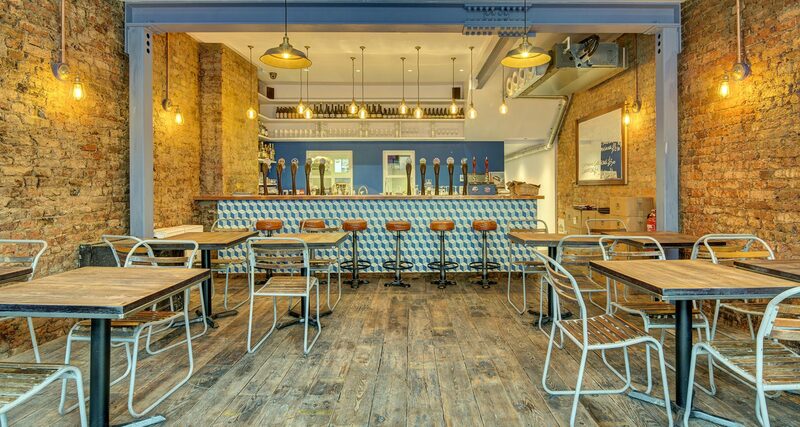 Utilising this unique selling point we drew inspiration from copper, a material integral to the production of the beer. 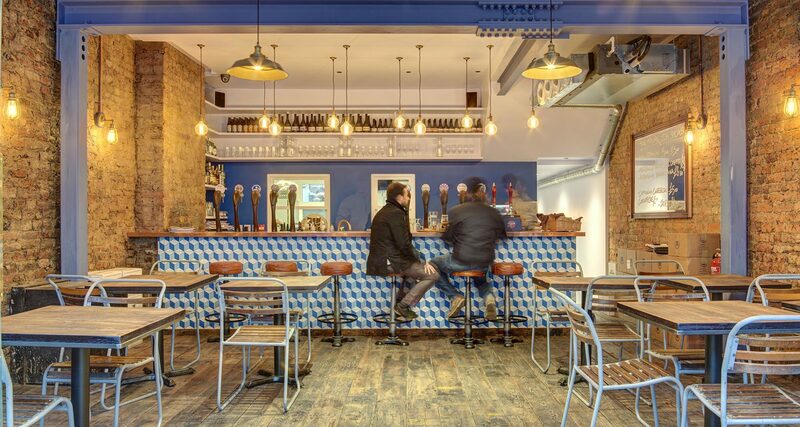 From the copper top of the counter to the lighting which features exposed conduits and aged copper shades, this raw material gives the pub an industrial look and feel. 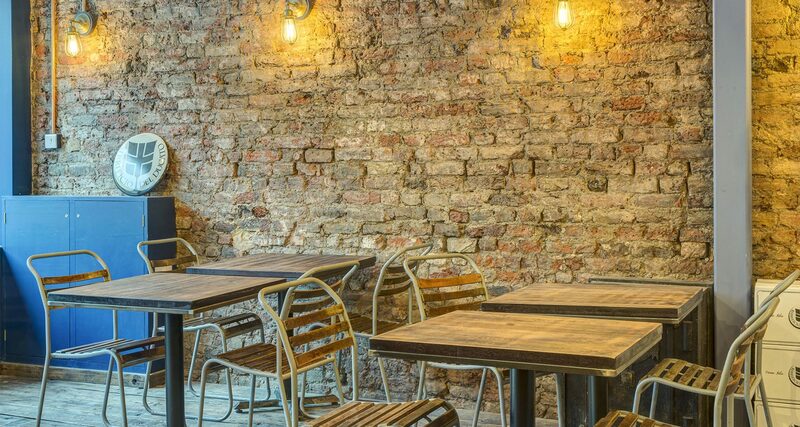 Exposed brick walls and a reclaimed wooden flooring, alongside a monochrome colour palette add to this effect. 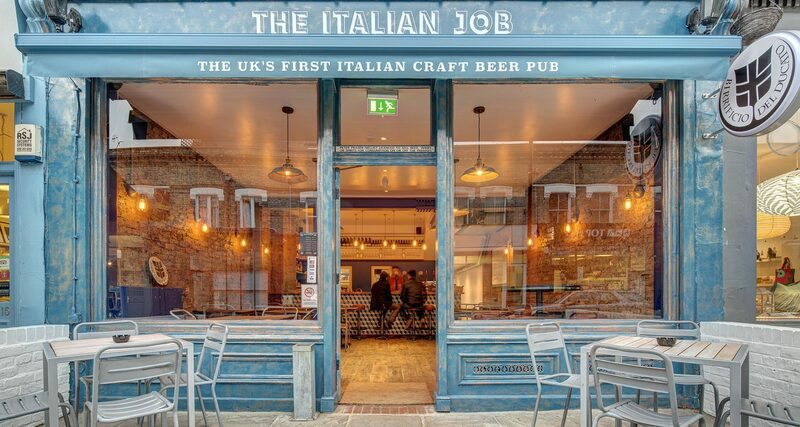 In contrast the checker-board concrete floors and striking tiles on the counter, lend the interior the unexpected yet everyday charm of Italy. 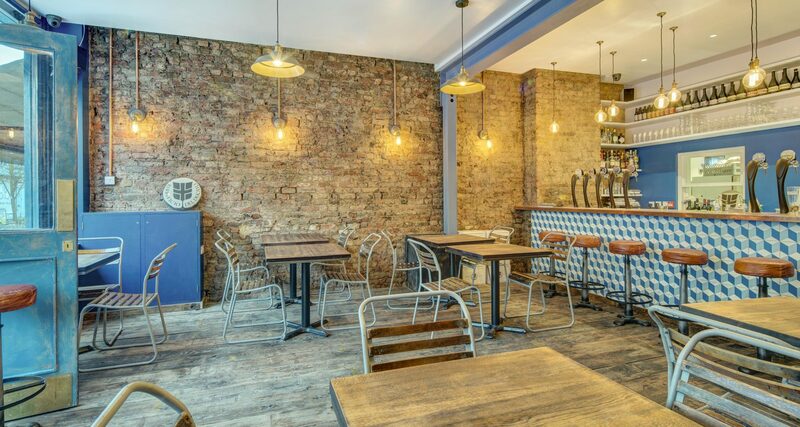 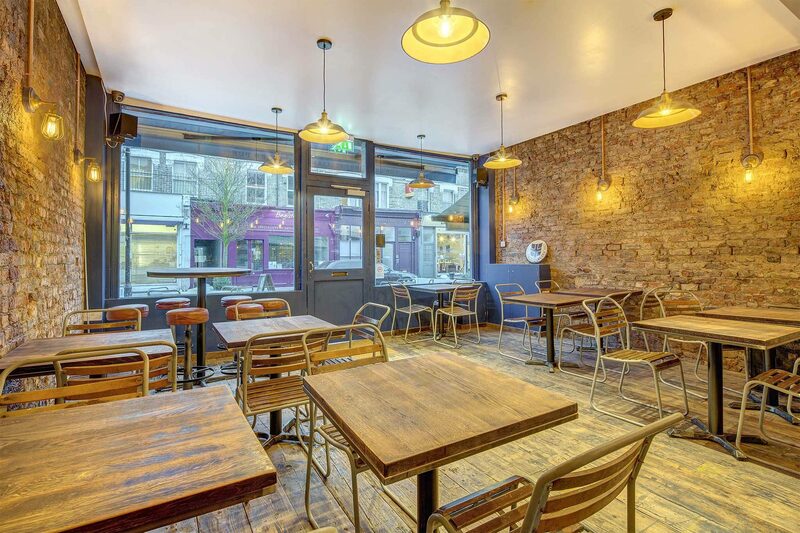 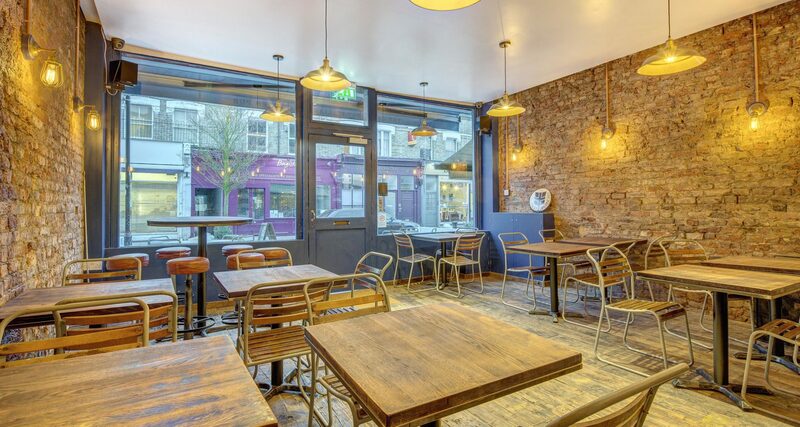 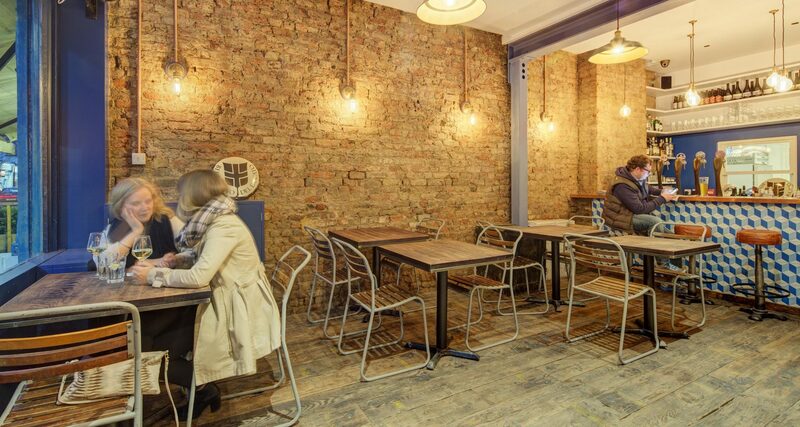 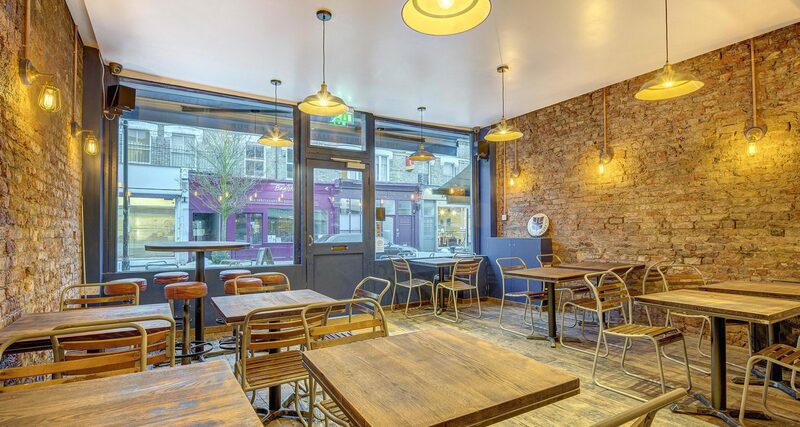 With simple lines and a stripped back interior we made the most of available space; we created a professional kitchen and bar area whilst ensuring there is plenty of room for customers. 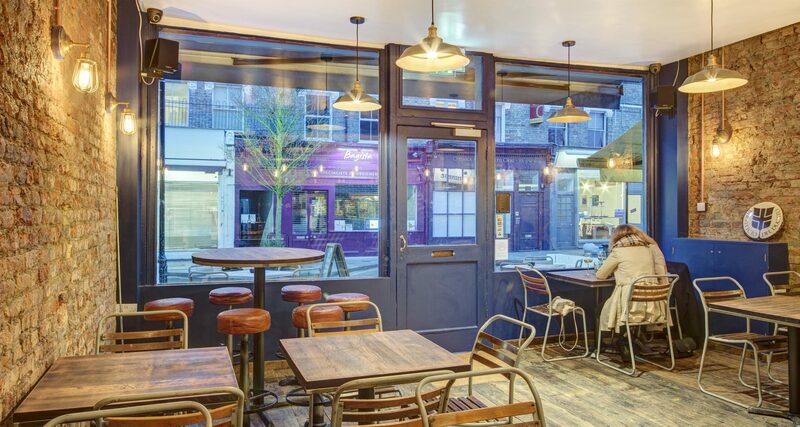 The complete internal refurbishment extends to the exterior which was painted over copper leaf and the bold colours, reflecting the interior, entice customers inside.